A guide to the Achaemenid Persian empire for reenactors, focusing on the Graeco-Persian Wars period. A quick guide to Persian history, society, religion, military, clothing and culture, plus links to reenactment groups and commemorations of the 2,500th anniversary of the Graeco-Persian Wars. Fluted spherical beads, nowadays commonly called "melon" beads, were a common feature in Achaemenid jewelry and were even used on the thigh cords of akinakes scabbards. They could be made of metal, stone, glass or ceramic, and often, but not always, featured a small rim at one or both openings. I recently acquired a bag of fluted beads from Crazy Crow Trading Post. They are advertised as hollow but heavy and 3/8 inch (about 9.5mm) in diameter; no indication as to whether that refers to the stringing length or the width. I chose brass as a substitute for gold. While the metal used may indeed be brass, it's "red" brass (that is, with a low zinc content and thus a more coppery orange hue) rather than the common yellow brass that it appears to be in the catalogue and online photos. This isn't necessarily bad, but it does mean they're a less effective substitute for gold and look more like a medium- to low-alloy tin bronze, which was also used for some beads. Reinforcing this effect is the fact that the beads are "raw" brass with no protective coating. As you can see, some of them are rather badly tarnished. In other respects, the beads do live up to the ad copy. They measure a hair over 9mm in width and 9.5mm in stringing length. They're surprisingly heavy, much more so than some of Crazy Crow's other hollow metal beads that I've bought, though lighter than solid beads would be. The raw brass gives me pause. While all unpainted metal would be "raw" in period, it would also be difficult to polish these without leaving any polishing agent in the grooves or getting it into the inside of the bead, where it could permanently etch the metal (I have seen Brasso do this when allowed to remain in crevices). Therefore keeping them bright and shiny would be a challenge. Otherwise, I think these would be excellent for period jewelry if you know what they are and how to use them. As a substitute for bronze rather than gold, they would probably be appropriate for an impression of a well-off but not especially rich person. Also, they might be useable on the thigh cord of a small akinakes, paired with a small chape - my examination of Persepolis reliefs indicates that the width ratio of the chape to the bead ranged from 3.57:1 to 5:1, so a 9mm-wide bead could be paired with a chape that is at most 45mm across. I've just stumbled across a curious article from last October by Sean Manning of Book and Sword. It concerns the analysis of an iron/steel akinakes purchased "from dealers in Tehran" along with iron Luristan-style blades in the 1960s. The dagger is a fairly standard design and could fit in with known finds from Achaemenid territory or elsewhere in Asia. What interests me is that the article includes a photo of the top of the pommel, the first I've seen of an iron akinakes, showing a tang with a wide rectangular cross section peened flush. The pommel was apparently a separate piece from the rest of the grip, with the sturdy peened tang holding it firmly in place. Assuming this is a genuine Iron Age artefact, it is the first evidence I've ever seen for the construction of an iron akinakes hilt, and indicates that the iron akinakes was NOT created in a single piece like the bronze proto-akinakai from Central Asia. Over the years, I've come to see pottery as a somewhat neglected area of reenactment gear. We focus on war to a great extent, but you can't present a realistic image of ancient peoples without also showing how they lived day-to-day, and in that sense, the objects of day-to-day life are just as important as weapons. Indeed, the majority of individuals would have used weapons rarely if at all, while everyone would have used wares for eating and drinking on a daily basis. For some years, I've wanted a ceramic water container to replace the leather ones I used at Marathon 2011 and 2015. 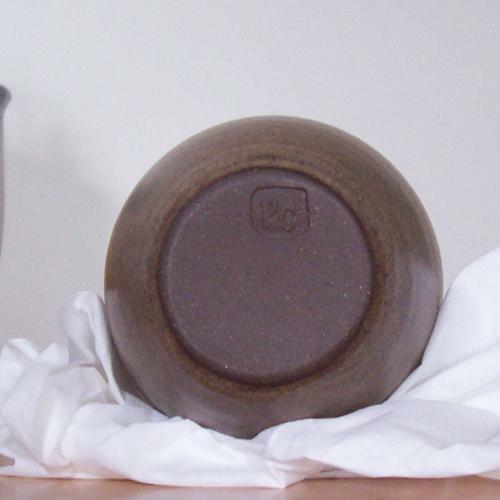 Ceramic bottles and canteens are much better-documented than the molded leather ones, and a simple wheel-thrown jug is of comparable price or even less expensive than a commercially-made leather costrel. (Not to mention, waxed leather can be damaged if left out in the sun - ceramic won't be.) 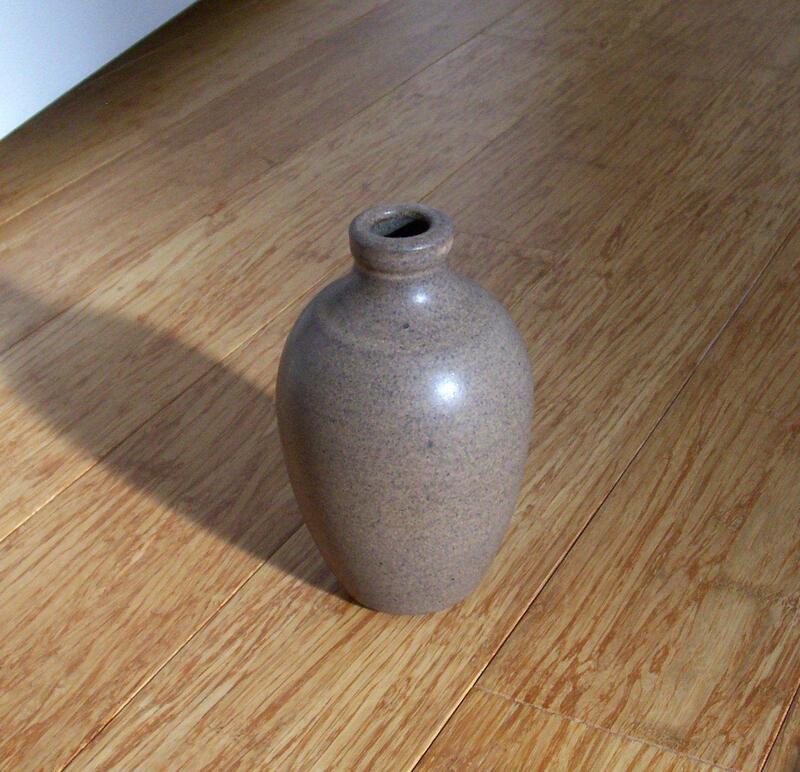 A water container of a convenient size for carrying is essential, so it's my view that that's the logical place to start your pottery collection. You need to drink, of course; why duck into a tent to sneak a sip out of a plastic bottle when you could be drinking out of an authentic container in public? There is some reproduction pottery on the market for Classical reenactors, but as usual, for material specific to the Persian empire, you'll need to go custom most of the time. I commissioned this bottle from Pamela Cummings of Harrisburg, whom I met at the 2018 Crafts in the Meadow fair at Tyler Park last October. Pam was a pleasure to work with, and very understanding and accommodating as we worked out the design, delivery and payment. Pam based the bottle on several finds from Persepolis, found in that ever-useful repository of information, Oriental Institute Publications 69. I requested it in a 12-ounce capacity, the same as a can of soda. We consciously deviated from the originals in two ways: 1) they were made of brown clay with several partial washes of various dull colors, but to simplify things, this reproduction doesn't have additional colors, and 2) the originals, as with almost all Achaemenid pottery, were unglazed, whereas Pam applied a clear matte glaze, both to make hers waterfast and more comfortable to drink out of (people often find that unglazed pottery is rough against the lips). While it may look glossy in my photographs, in person it has a more mild sheen and could perhaps pass for being lightly burnished, which is also a technique known in Achaemenid pottery. Pam normally includes a small initial stamp on her works. Understanding that some reenactors don't want this on their gear, she offered to leave it off. Personally, I think that if a trademark isn't large and distracting, it's not a problem - no one thinks we're eating and drinking out of actual ancient museum pieces anyway - and I see it as a segue to discussing how we go about obtaining our items and the fact that these ancient arts are still very much alive. A bottle like this can be stopped with a tapered cork from the hardware store, and cork is a fairly ancient material - the oak species it comes from is native to the Western Mediterranean - though I'm not sure exactly how widespread it was in our period. I suspect a waxed wood stopper would be more authentic for an item coming from the Iranian plateau. Our test board cured for an entire month. Last week I added some thin layers of carnauba wax paste, which is, admittedly, not something that would've been available at the time (carnauba palms are native to Brazil), but I was attracted to the fact that it's harder than beeswax and has a higher melting point. It's difficult to see, but on some of the swatches it dried to a whitish waxy appearance. At this point, my favorite was the glue-soaked, sanded leather with a wax topcoat and no gesso (lower right corner), which was smooth and a bit glossy. I wanted to first test the paint against rough surfaces and sharp implements to see if it would flake. It didn't, though the knife and half brick scuffed the paint applied over unglued leather badly. The glued/sanded/waxed/un-gessoed swatch looked to be the most durable, as both implements glided over it leaving superficial scratches. The real test, of course, would be the rain. I waited until today when it was convenient to set the board outside for an hour, as I figure these are realistic conditions. In the meantime, I cut up a whole bunch of undyed, semi-bleached linen swatches, as I figure these would be the most likely to show paint smudges if someone's clothing were to come into contact with wet paint. When the board came inside, I rubbed one swatch of linen against each swatch of paint. At this point, it became difficult to read the labels, but that didn't matter. NONE of the paint swatches adhered well enough for practical use; each one smudged badly onto the linen. Sadly, the glue-soaked but un-gessoed swatches fared by far the worst, as the glue absorbed water and turned liquid. The paint slid right off of them. The gessoed ones didn't do much better. The wax topcoats gave no noticeable protection. In fact, the leather swatch with no treatment at all (corresponding to the linen at the bottom of the leftmost column) did best - or, at least, least worst - although as you can see, it still smudged. 1) Bare wood scabbards with only a drying oil or wax finish. 2) Painted wood, again probably having a water-resistant finish. 3) Unpainted leather facings, perhaps vat-dyed in a single color (I am told that a finish of beeswax and drying oil will prevent dye bleeding, but that's a question for another day). 4) Embossed sheet metal facings, either over a leather facing or glued directly to the wood. 5) Oil paint or encaustic (wax). Unfortunately, I know of no evidence that these types were used in our period. The first two leave us with the issue of the scabbard possibly splitting along the seams when the blade is pushed in or jostles inside the scabbard while the wearer is running. Only the chape would provide reinforcement. It's possible that small bands of organic material such as rawhide were tied or stitched around the scabbard farther up, leaving most of the wood bare for painting, but that's pure speculation. Options 3 and 4 have good historical grounding, as the Issyk Golden Man's scabbard was covered largely with leather and small sheet gold adornments, while the Achaemenid scabbard from Egypt had a (now-vanished) gold facing pasted to the wood. We're still left between a rock and a hard place: Most reenactors won't have the skills, or money to pay someone who does have the skills, to make a full metal facing, since fitting one to the complex curves of a wooden core in the classic Achaemenid shape would require lots of careful hammering to expand the metal in certain areas. On the other hand, leather alone is pretty dull-looking, and I've never seen evidence for Achaemenid scabbards with partial metal plates such as those at Issyk which would be easier to make. I'll look into carrying out milk paint tests directly on wood. In the meantime, Ivor at RAT brought to my attention the book Chariots in Ancient Egypt, which is said to have some evidence for painted leather. Now I have a few more weeks of free time before the spring semester starts, I can finally start checking whether it contains anything potentially applicable to our situation. Traditional gesso is sold as a powder, which is mixed with water in a 4:3 ratio, covered and allowed to soak for a day before warming it to melt the glue. Warming produces a texture like melted ice cream. The liquid is then painted on, allowed to dry, sanded, and painted on again. After the first coat, I found that the remaining gesso cooled to a bubbly, rubbery texture that could be ground into the preceding layers, squishing it into a smooth paste in the process. Both wet and dried gesso is a stark, eggshell white. The next step was to mix and apply the powdered milk paint. This is a sample of Real Milk Paint Co.'s "barn red," which has a slighly dull, ochre-like color (though if I use this type of paint on a large scale, I plan to use a colorless base and add storebought pigments so I know they're authentic). I mixed it up in a common salad dressing-style cup with a lid and used another cup to measure out the water, as the recommended ratio of powder to water is simply 1:1. Not long after the paint was applied, most of the gessoed swatches showed fine cracking. Presumably the gesso absorbed water from the paint and swelled. The swatches with glue but no gesso didn't seem to have this problem. Interestingly, the swatches that were neither soaked in glue nor gessoed seemed to do very well, with no cracking even when I tried poking at them with my fingernail. This may change over the following month if the curing paint becomes harder and more brittle. The other factors are how well it handles water damage and whether the paint over chamois can be sufficiently sealed with wax if water becomes a problem: a hard, non-sticky wax may also tend to flake off if the underlying leather is still puffy. Casein paint, or milk paint, is made by mixing milk protein (usually concentrated or coagulated) with pigment and often hydrated lime, which causes a chemical reaction that makes the dried paint harder and more durable. Roman reenactors frequently use it to paint their scuta (large legionary shields) and report that it's fairly water-resistant, more so if a wax top coat is applied. The basic ingredients should have been available in Achaemenid Persia, and the use of milk paint is documented from the Bronze Age, so I consider it a reasonable option for period-appropriate paint. Could it have been used on tanned leather? I'm planning to make some more akinakes scabbards - well, sort of; I'll have to farm the wooden cores out to a professional woodcarver this time because I no longer have access to the kind of tools that are needed to produce them in a reasonable timeframe. Anyway, wooden scabbards are greatly strengthened with a facing or other reinforcements to keep them from splitting along the seams, but aside from the chape (when it was made as a separate piece), the only reinforcements known on akinakes scabbards are facings and the only facings known are leather and embossed sheet metal. Shaping sheet metal around the expanded throat of an Achaemenid scabbard requires great skill, so I'm going to rule it out. That leaves leather. As I've said before, I believe the usual leathers used in the period were fat-cured (similar to braintan and chamois) or rawhide. Chamois is cured with fish oil, just like buff leather and German buckskin. In the U.S. it's made from sheepskin, although the term chamois in French refers to a species of goat. As a result, chamois is thin, elastic and soft, so it should be easy to stretch over a scabbard. Its non-abrasive properties make it popular for polishing cars, so it can be bought in automotive and hardware stores. I bought a three-square-foot piece from Ace Hardware for $20; I think this should be sufficient for covering two scabbards. Milk paint is generally said to need a ground (the surface onto which it's painted) that is both hard and porous. It works very well on raw wood. On vegetable-tanned leather it's sometimes reported to crack. However, as far as I know, nobody's tried it on suede leather before, so I wonder if it might not be able to soak in like thin hide glue paint. An alternate method might be to harden the leather by soaking it in hide glue. However, I believe this would reduce its porosity. There are two methods of prepping a non-porous surface for being painted with milk paint that I read of: sanding the surface to roughen it and give the paint something to "bite" into, and priming it with gesso, which is a mix of glue and chalk dust. RAT member Feinman informs me that soaking the leather with hide glue would make it hygroscopic (meaning it would tend to absorb atmospheric humidity), which could present problems for paint adhesion. I know of no way of dealing with this. The other factor is whether or not to apply wax. Over bare suede, I think that wax would tend not to seal very well. For the time being, I intend to test everything. I've gotten a wooden plank and attached small swatches of chamois with hide glue, each of which will then have some milk paint applied. There are nine swatches, the three largest of which will be shared by two test treatments, so as to try every combination of leather glued only by the back, soaked with glue, sanded or not, primed with gesso or not, and waxed or not. (The nailed-down rawhide pieces in the middle were from another project.) As you can see, the glue-soaked chamois is brown and almost transparent. It dries hard enough that I can barely dent it with my thumbnail, although it's not as hard as rawhide. Also, chamois that's glued on the back but not soaked and then allowed to dry can be soaked later by rubbing more glue on the front. The glue seems to bond the chamois pretty strongly to the wood. Over the next few days I'll have to narrow down the possible choices of gesso and wax. Once all the paints are thoroughly cured (allow a month) and treated, I'll test the paint's adhesion when dry, adhesion when wet, and resistance to bleeding and smearing when wet. Stay tuned! Mark your calendars for June 28-July 5, 2021 and click here to let Hoplologia know you'll be there! Many thanks to Christian G. Cameron for the link. I'm a former news industry content editor from the Philly suburbs. I received my B.A. in journalism with a minor in history from Ithaca College in 2007. The Royal Road exists for the primary purpose of recruiting ancient Persian reenactors for Graeco-Persian Wars commemorations, especially in Greece itself, while Addendum is my personal blog, mainly an outlet for sketches and photos that don't fit on The Royal Road. A little confession: My public e-mail, xerxesmillion@yahoo.com, is indeed a spamtrap, and the amount of spam it gets every week is justification enough for that in my mind, but if you're not spam, I'll do my best to reply in a timely manner, so don't hesitate to write.